There can be lots of reasons why water would get into your home and cause damage. You may have a roof leak or roof damage where parts of the home’s roof have failed and allow water from rain and melted snow to enter the home. Or your home may have a broken water pipe or a drain pipe that allows water and waste to spill into the home. Whatever the reason why you have water damage in your home it’s very important that when you do have this water damage that you take action quickly. In this article I’ll discuss what you’ll need to do if you have water damage in Wyandotte Michigan but it will apply to other ares as well. 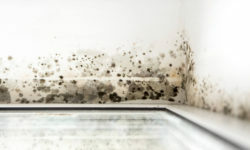 Because the interior of our homes wasn’t meant to be water proof and resist moisture when that moisture gets inside our homes it can be devastating. Because simple water leaks happen from time to time it’s important to learn the best ways to deal with them and what you can do as a home owner to protect yourself and your family. 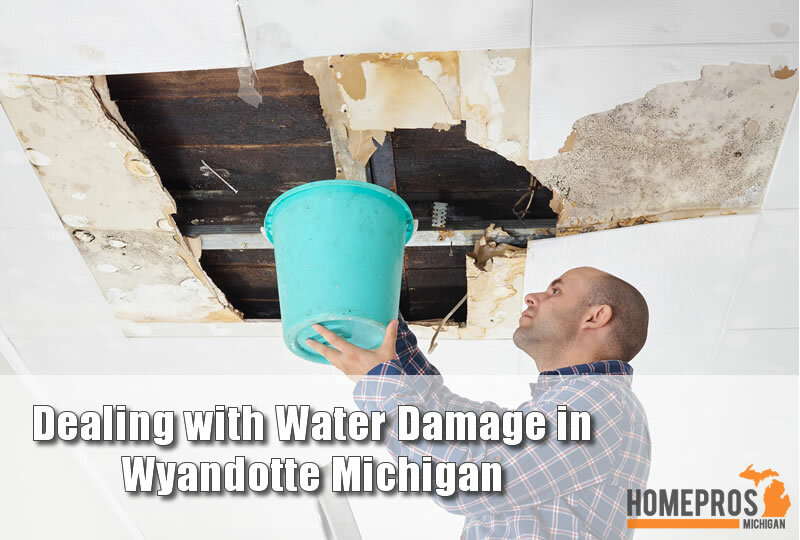 Even if you can stop the water damage in Wyandotte Michigan completely you may be able to slow it down and protect your home that way and minimize water damage done to your home. Sometimes just a quick call to a plumber can make all the difference as long as you’ve taken the steps outlined in this article. Just What Damage Can Water Do? As you can see this process first starts with stopping the damage from getting any worse. You may be able to do this yourself and help prevent some damage. When you have a water leak in your home especially from upper levels or the roof the water will rain down on items in your home. This includes furniture, rugs, and even electronics such as televisions and computers. Most homes have a water valve located in the meter box of their home. This valve works much like a faucet. Turn the valve one way to allow water and the other way to stop the water. Closing the valve if you have a water leak means you’ll stop all water from entering the home. 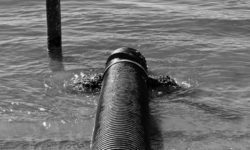 This can help tremendously if a water pipe has broken and you need to stop the water. 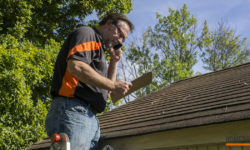 Unfortunately, when a problem occurs such as roof damage there may not be anything you can do. 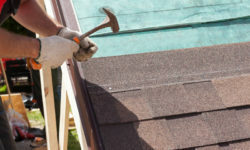 Calling a roofing contractor will sometimes send a emergency crew to provide temporary cover on your home for a short period. 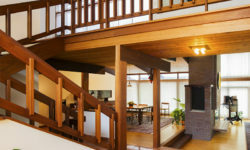 The first call you’ll want to make is to a home restoration contractor in Wyandotte Michigan. There could be all sorts of problems related to the water damage in Wyandotte Michigan that you may have experienced. It’s best to get a professional to your home to check it and be sure. If you want a quote from local home restoration contractors from Home Pros Michigan be sure to fill out our Get a Quote form to get qualified quotes from local contractors right here in Michigan.